Do you know how many hoses are in the average vehicle? More than you think! You have radiator hoses, fuel hoses, heater hoses, etc. And when one springs a leak it can really ruin your day. Hoses only have a certain life span. Rubber degrades over the years. And being out in the elements doesn’t help, especially if you live in areas where you get a lot of heat then cold. That can really cause damage to your hoses. Radiator hoses really do a lot of work. They can go from cold to hot and then cold again in a matter of minutes. And when one starts leaking, your engine could overheat and cause all sorts of damage. So get your vehicle to Elkhart Mechanics and have them check your hoses now. The hot summers and cold winters in northern Indiana can be rough on the many hoses in your vehicle. 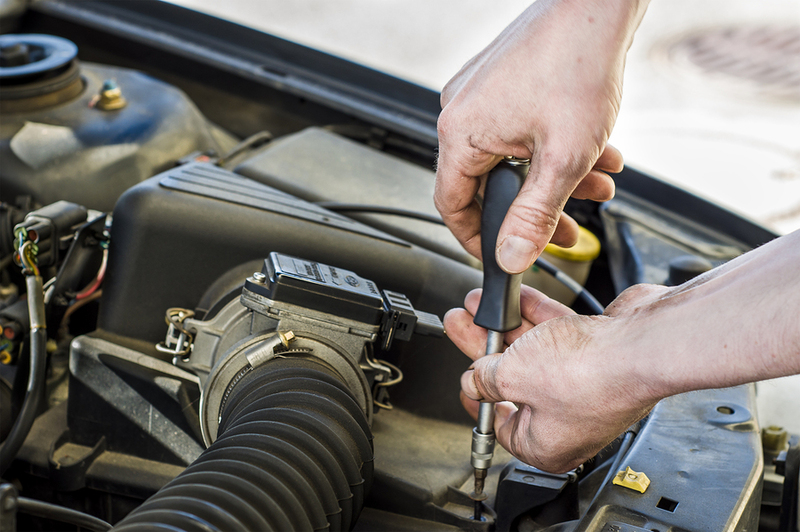 Most cars have a coolant hose, radiator hoses, a bypass hose, and a power steering hose. All of these hoses are made mostly out of rubber, which can become worn out more quickly when exposed to extreme temperatures. Hoses are also exposed to constant vibration whenever the engine is running, and this also makes them wear out more quickly. If your hoses appear cracked or swollen, they may need to be replaced. You can also check your hoses by squeezing them when your car is turned off and the engine is cool. You will need to replace a hose if it makes a crunching sound when you squeeze it or if it feels oily or sticky. If your hoses malfunction, it can cause your engine to overheat and require expensive and time-consuming repairs. It is a good idea of have your car’s hoses inspected every six months, so that you can catch damage to your hoses early and replace them before they can cause bigger problems. Small leaks in hoses can be temporarily repaired with duct tape, but this is not a permanent fix. A collapsed upper radiator hose is also a warning sign, because they indicate a problem with the radiator cap. Other signs of possible hose problems include a squealing sound when the car accelerates and a repetitive slapping sound when the car idles. If the coolant hose leaks, it might cause a sweet, burning smell. Elkhart Mechanics is here to perform any maintenance your vehicle’s hoses might need. We will inspect your hoses during routine inspections and let you know if we notice any wear on any of your car’s hoses. We can replace your car’s hoses at a reasonable price.